Last two... 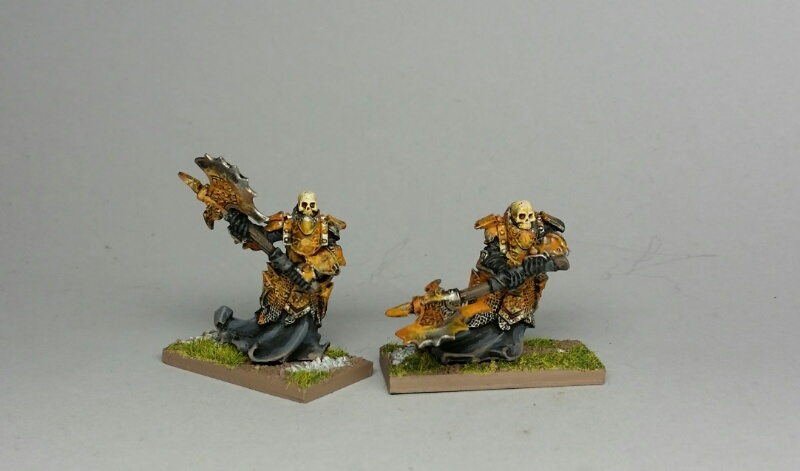 I think these were Bane Knights from Warmachine, with some modification. Odd sized bases because of their size/poses -- filling out a regiment. Four more non-human skeletons, individually based this time. Three are from Ral Partha. Old Julie Guthrie sculpts that have that same great but delicate detail as one of my other favorite oldschool sculptors, Tom Meier. I *think* these are still available from Iron Wind Metals. There is a fourth figure from the pack, but it's armed with a bow, which I have no use for at the moment. 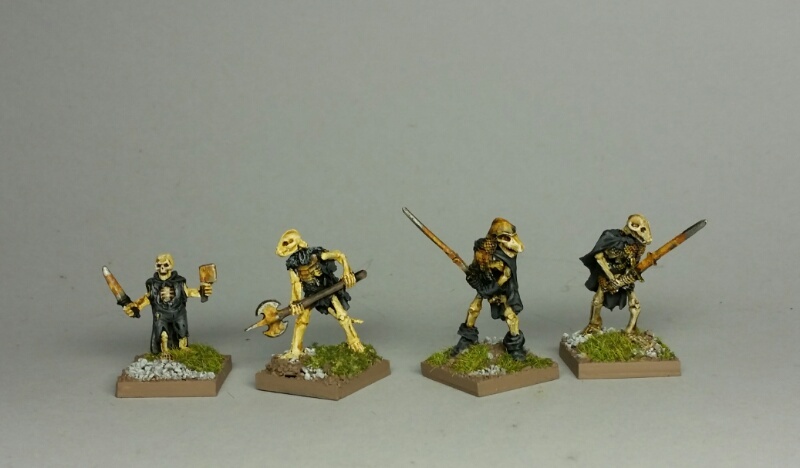 The last one in the pic (on the left) is an undead hobbit from Reaper. I got it with the previous Bones KS stuff. Interesting looking figures. I like Iron Wind Metals for some of those old school Ral Partha sculpts.